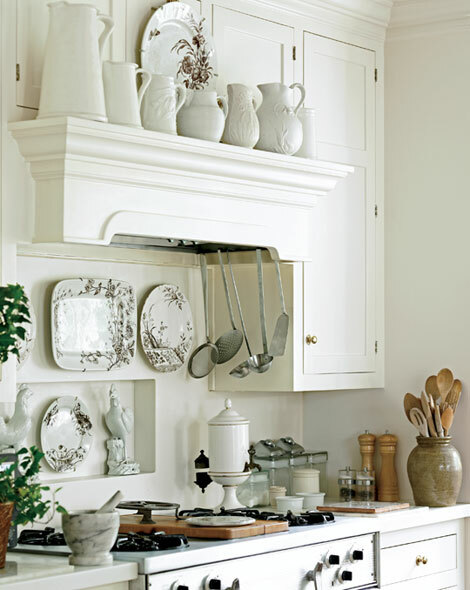 Kitchens…did you set up the coffee yet? 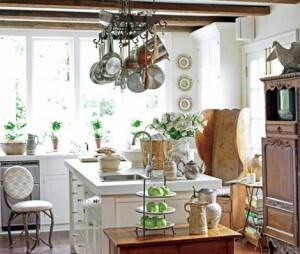 So as I continue to drag tour you through my dream house we come to the kitchen, possibly my favorite room of the house. 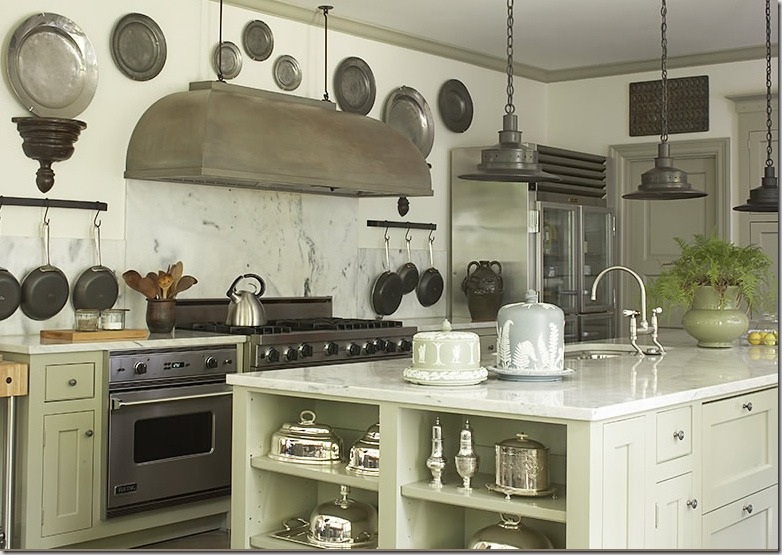 Let me explain, before we get too far into our tour, I was fortunate enough to remodel my kitchen a 7 years ago and I’m happy to say I still love it. 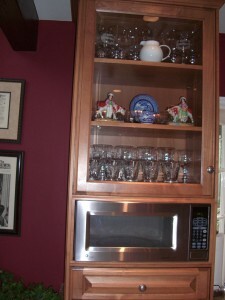 These images (above) are of my kitchen. As you can tell, its a small but efficient kitchen...or wait, am I the efficient one? I’ll have to get back to you on that point. That said, this dream house we’re touring is the house I’d live in if we all lived in the perfect world of Elizabeth Montgomery’s Samantha from Bewitched…we’d only have to twitch our nose and we could have anything we desired. That might actually be a little dull after awhile but I’d give it a try for building a house, wouldn’t you? When I peruse the wonderful World Wide Web site and visit blog site after blog site I find I’m always attracted to kitchens. My photo file, organized by room, is bulging with kitchen images. 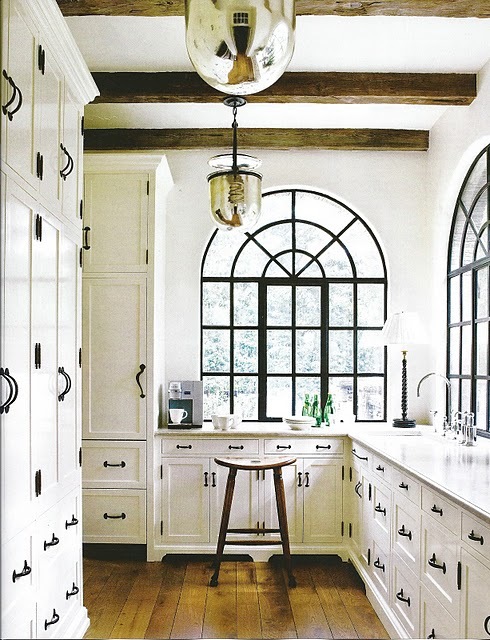 I love the steel windows I’m starting to see in homes. The beams in this kitchen are a dream, along with the fixtures. 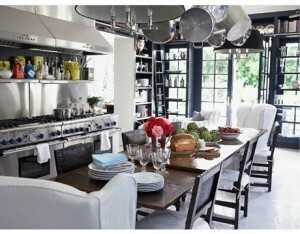 I confess I enjoy cooking and entertaining and I guess that is why I’m attracted to this room of all rooms in a house. 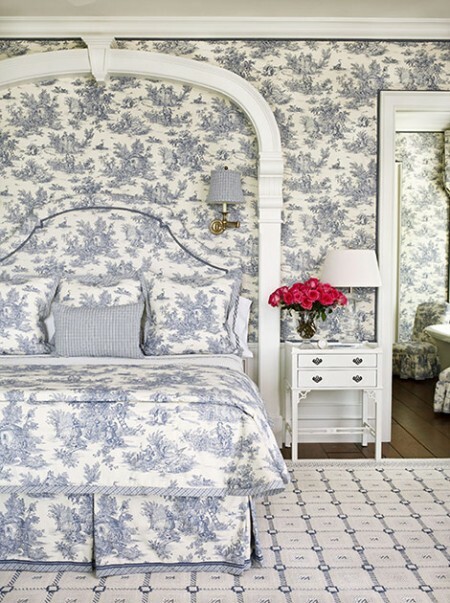 Conversely, I don’t sleep very well and I can never find enough pictures of bedrooms…is there a connection? 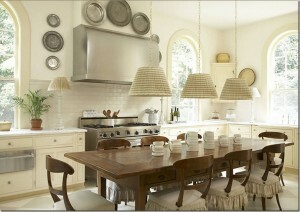 I blogged about Atlanta designer, Dan Carithers, before HERE and I love his kitchen. 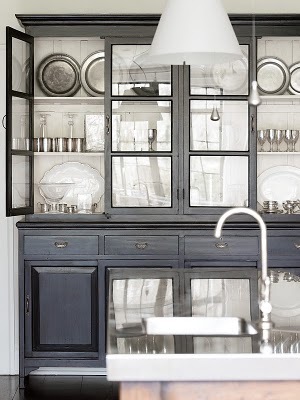 (Goodman Follow) You know how I love black in the kitchen and the white wall behind the cupboard sets this hutch apart (in my humble opinion) because it lightens the look of the piece. Love the pewter plates and cups/stemware. 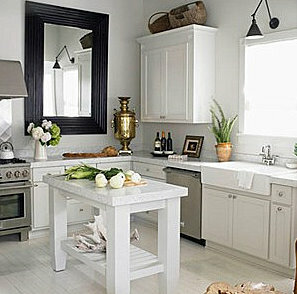 The mirror makes this smallish kitchen look larger and it would be a nice addition if you have the wall space. 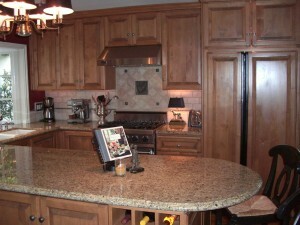 The one thing my kitchen doesn’t have (well maybe not just “one” thing) is an island. I have many friends that enjoy the convenience of an island. 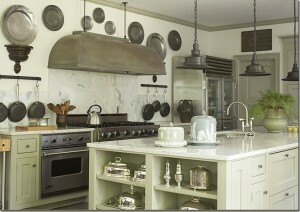 When you are preparing meals an island can be a great work horse spot. This kitchen was built in a toy factory in Los Angeles by designer Michelle Niday. I love the “living room” feel to it. She has art hanging on the living side of her island. 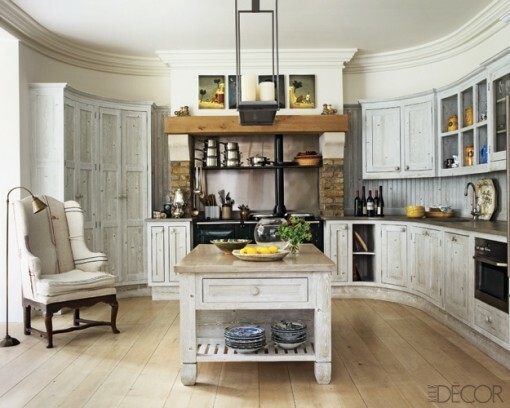 For an open kitchen this one assimilates well with the living quarters. 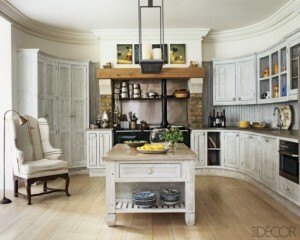 This kitchen is one of my favorites because it’s located in London. 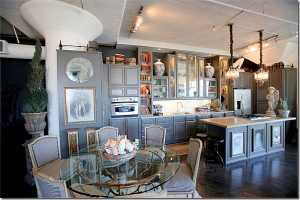 Hubby and I have often thought we’d love to live in London for a year or so. So this concludes our tour of kitchens, thank you ladies and gentlemen for joining me on this tour. 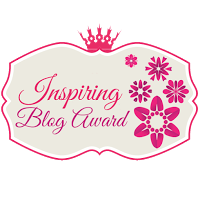 Oh, and by the way, the title refers to the fact that because Hubby and I both enjoy our coffee first thing in the morning we set the coffee pot up the night before so that all we need to do is hit the start button in the morning. We used to have a coffee maker that had a set up timer but it died and the Braun we ‘re currently using makes a really good cup ‘o joe. 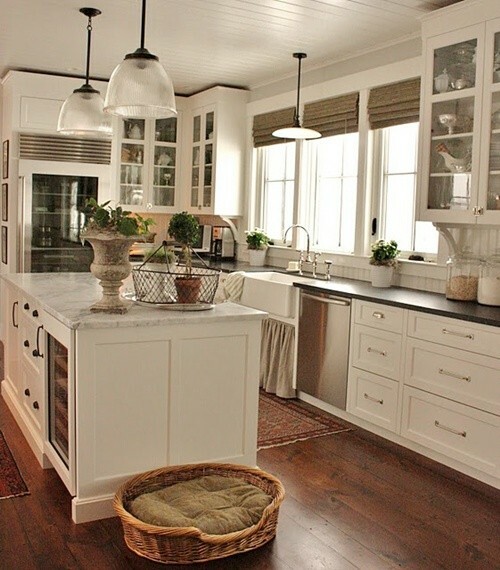 Do you dream of kitchens you’ve owned or would like to own? What features do you love most? 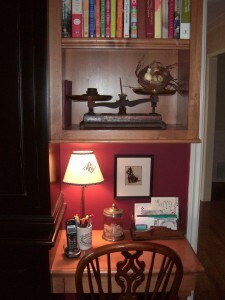 Not too many months ago I read at the great site, Things that Inspire about her virtual house for 2010. I thought this was a great idea and decided I would give some serious thought as to what I’d include in my own “Dream Home”. Yep, I could love this house! After months of thinking about it I realize it’s harder to accomplish than I would have thought. I’ve always maintained that the only thing keeping me from my dream home was $$$, and that is partly true. But when it came right down to playing the game with myself that says, “Okay, money is not an issue! What would you do? What would you change?” it nearly froze me in my tracks. This would make an excellent "extra" bedroom in our house. For starters I’ve always wanted just a little more space in each of the rooms. Our tract house was built in 1968 and the rooms are small to average in size. It would fun to have just a little more room in our family room. 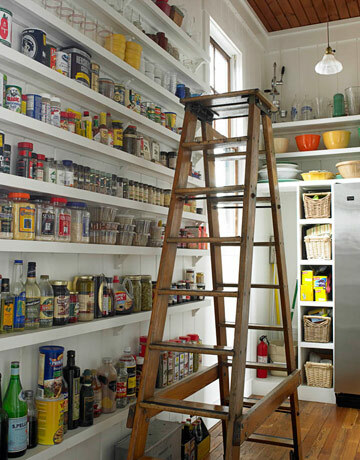 Just think how organized I could be with this much space for pantry items, I'd loose the ladder and have a really cool leaning ladder (like you see in libraries). …and a walk-in closet for me! I'd have this filled in no time. I would love an extra bedroom and bathroom and I would definitely LOVE a breakfast nook. 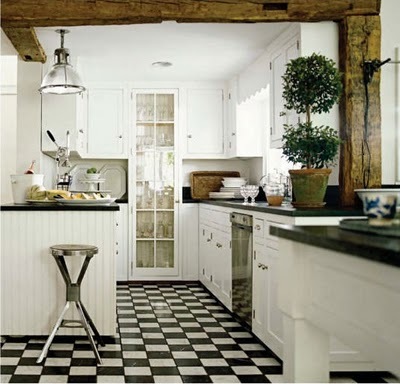 Right now we have bar stools in the kitchen and that works, however if I could have a ceiling to floor windowed room that looks into the backyard, with room for a kitchen table and chairs. 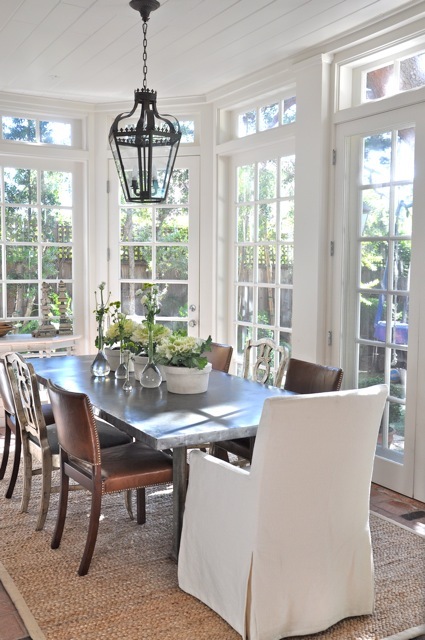 This is so beautiful---I could stay in my jammies all day in this breakfast room. I’d also like a little outdoor studio (code for a getaway space) complete with comfy chairs and a place to set your cup of tea. 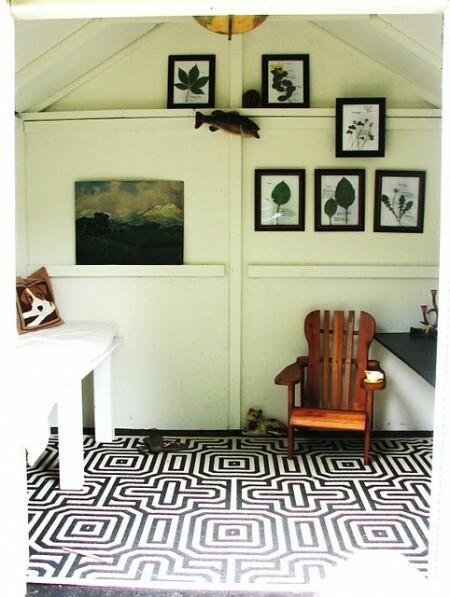 However, I’d even be thrilled with the little shed that Lauren Liess posted on her website Pure Style! I’d like a view but I really like where my house is located and I love our neighbors, so maybe I’d give that (view) up. 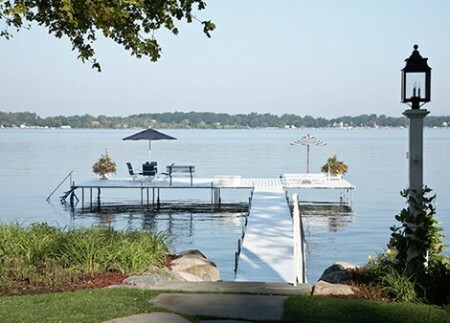 Who wouldn't enjoy a view of a lake or some other body of water? I would like a bigger patio that could accommodate a table and chairs for dining but also include space for an outdoor living room. 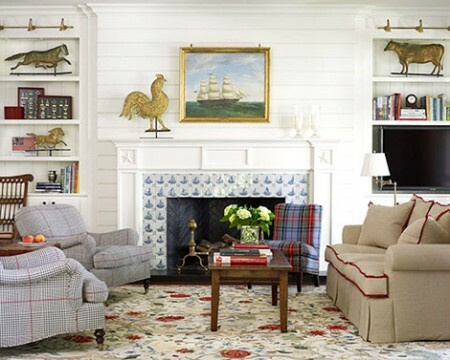 Who wouldn't be comfortable in this lovely space. 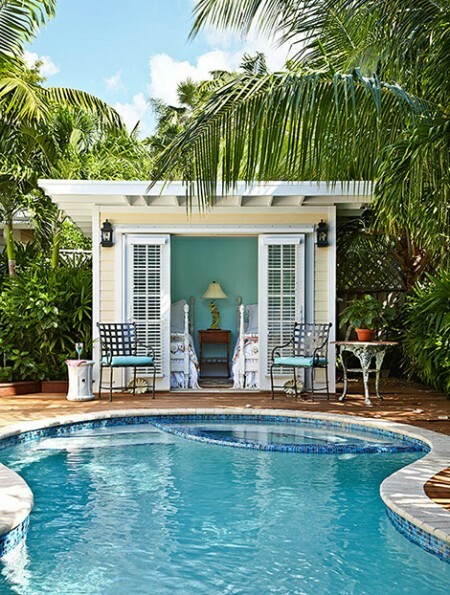 Before you decide what a shallow person I must be, know that I love my little cottage and am very content—this was just an exercise in dreaming in case we hit the lottery—wait, we don’t buy lottery tickets, this could be a problem! What would your dream house look like? Maybe you already live in it! Let me know, I’d love to hear from you. 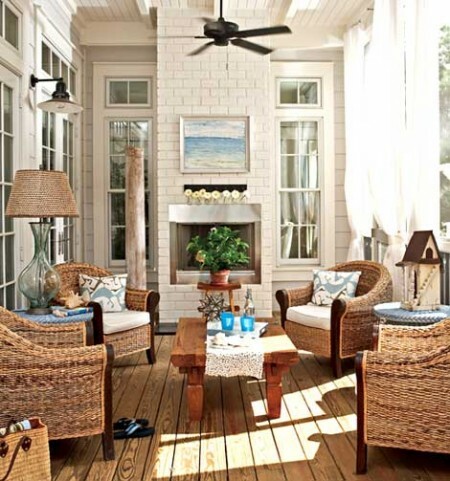 Pictures via Traditional Home magazine.